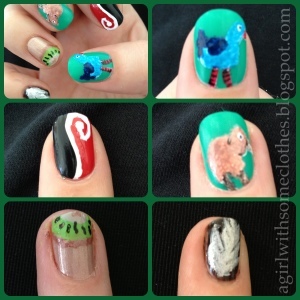 Just a quick update to say that a winner of my nail art competition has been chosen! I felt sorry for my husband having to choose... they were all great! It came down to two in the end and the winner ended up being Jenn! Haha, I just realised that my last giveaway winner was called Jenn too - different ones though! I'm about to email her now and let her know she won. first competition - and WOW! Hannah's design - coming in a close second! Hannah and Jen were so close, they both had put a heap of work and detail into it and it was such a tough choice! oh awesome Jenn! 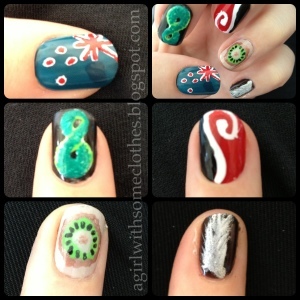 those nails were so cool! I especially love the tumb! :) so super good work! and wow to me coming second! :D thanks for the fun competition Jessie! ooops that should say thumb not tumb!